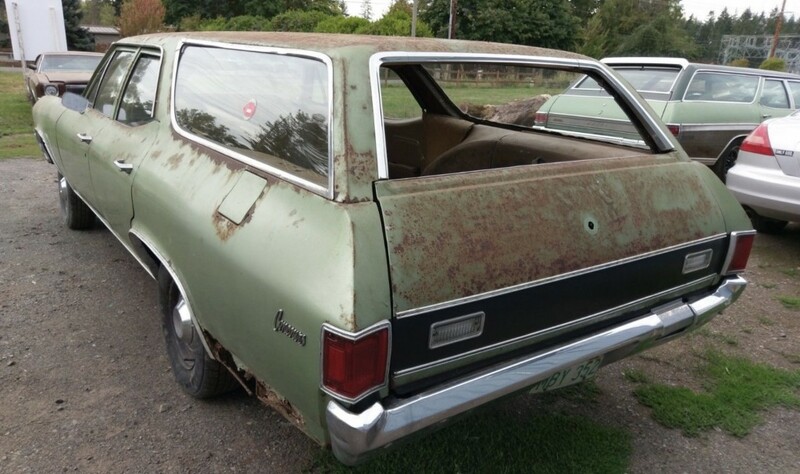 For today’s internet barn find of sorts, we bring you this 1970 Chevrolet Chevelle wagon. While the regular Chevelle is best known in coupe form (with a 396 V8 engine under the hood), the wagon offered practicality and power. This particular wagon for sale comes from Washington state and it’s seen its fair share of sitting. The eBay listing claims the 1970 Chevrolet Chevelle wagon was taken off of the road in 1996 and has sat parked since. There’s no engine or transmission sitting under the hood these days, either, which makes it a clean slate for someone to build the muscle wagon on his or her dreams. Originally, the Chevelle wagon housed a 307 cubic inch V8 engine with a turbo 350 automatic transmission. Of note, Chevelle wagons weren’t offered with SS packages for 1970. The really fun stuff was left to the coupe utility (El Camino) and coupe body styles. But that likely won’t stop someone from recreating a Chevelle wagon SS with a blank canvas of sorts. The exterior is in decent shape, too, though surface rust is present. The worst of it is around the rear side of the glass, but the seller said the floor pans are solid. The front fenders and rear quarter panels will also need patchwork and the corners of three out the four doors all sport car cancer in a few spots. The frame remains in solid shape with only surface rust, according to the seller. This is certainly no project for a novice car builder. Everything will need a lot of love to return this Chevelle wagon back to tip-top shape. 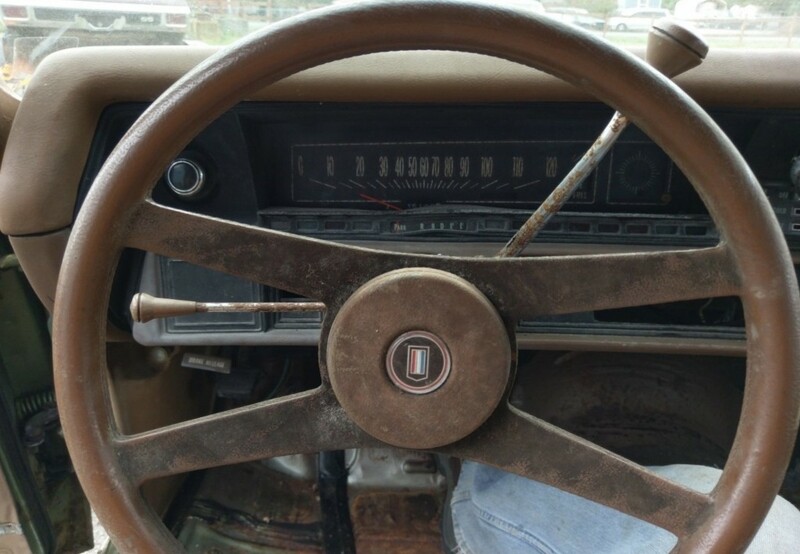 The interior will need a total overhaul and photos show it’s seen far better days. Thankfully, parts are relatively easy to find, though it may be slightly more challenging for a wagon body style. The high bid sits at $1,136 at the time of this writing with the reserve not met. Next story Former Apple Engineers Create Next-Generation Lidar, Could It Benefit GM Cruise? I rented a Chevelle Wagon of about this vintage. The handling properties were a real “treat.” Turning the steering wheel caused the body to roll, which slowly, slowly resulting the car changing the direction of travel. I can’t imagine anyone wanting to endow love on one.